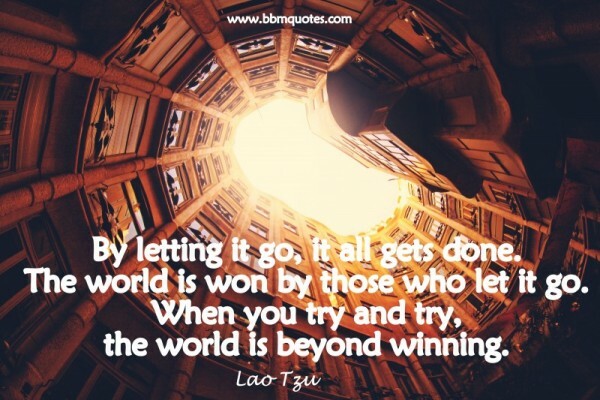 Lao Tzu | By letting it go, it all gets done. The world is won by those who let it go. When you try and try, the world is beyond winning.